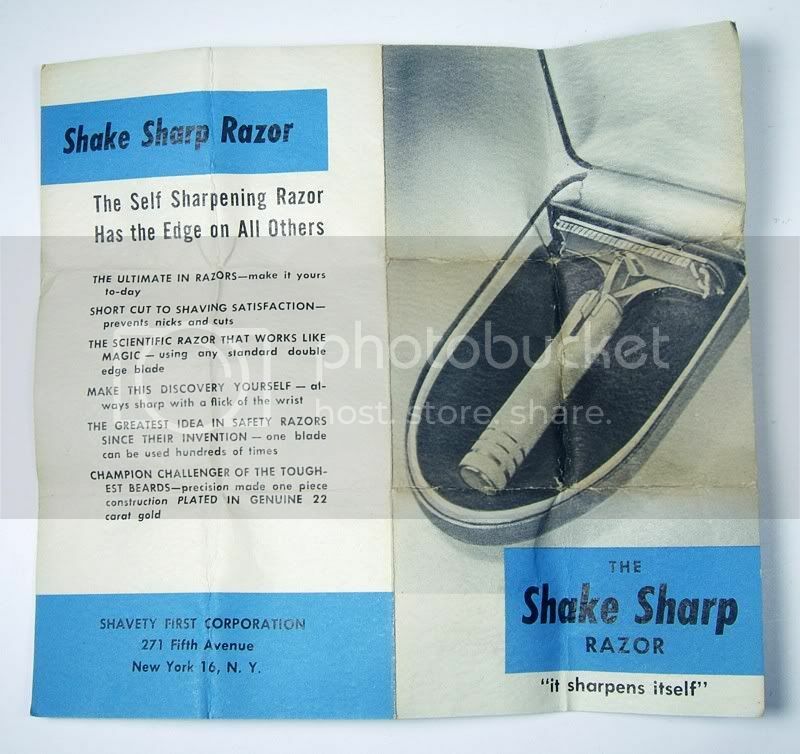 Yet another razor oddity I have dug up some information on, courtesy of a chance reading of a post in the B/S/T: the Shape Sharp Razor! 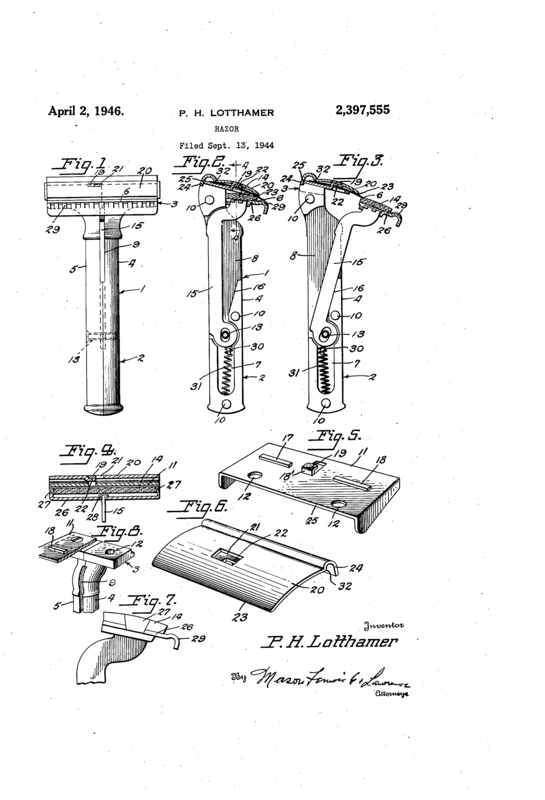 The basic idea is interesting, and ties into the razor blade sharpeners I posted about last month: Keep your razor blades sharp, and keep them longer. Made a lot more sense of the old carbon blades than it do for modern stainless ones, since they cost more (relatively speaking) and dulled quicker. At a glance, it looks like a SE razor with a wicked blade exposure and an oversized head... but there is a reason for that: the head contains a hone, and holds a regular DE blade. 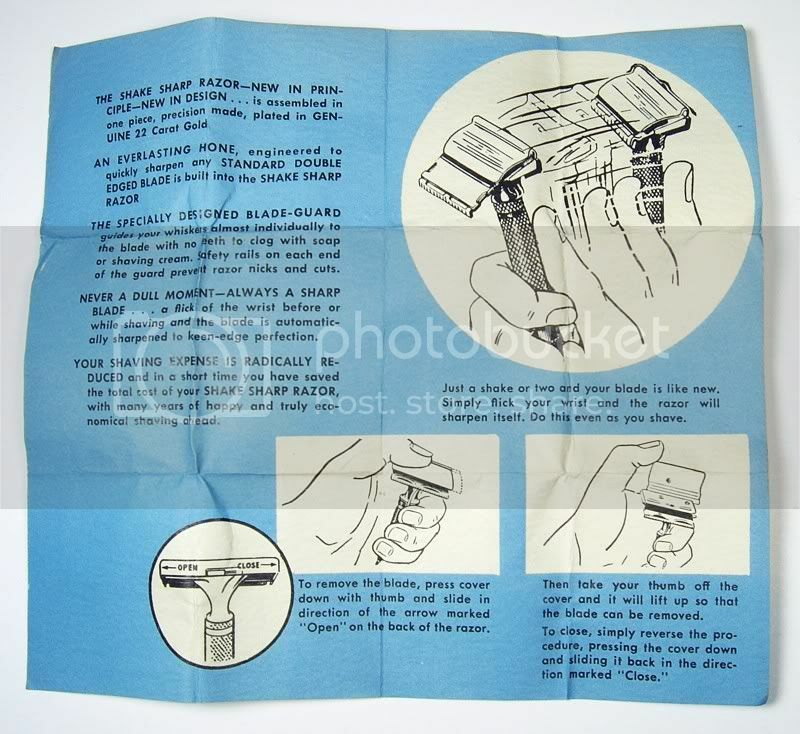 The idea is/was that the user shake the razor back and forth to keep the edge honed during shaving, thus having a perfectly honed blade at all time for the best possible shave... at least, that is what the pamphlet says. According to the information I found online, the construction is a combination of cast zinc and stamped brass, and possibly steel - although I've also spotted references to Shake Sharps with bakelite handles. 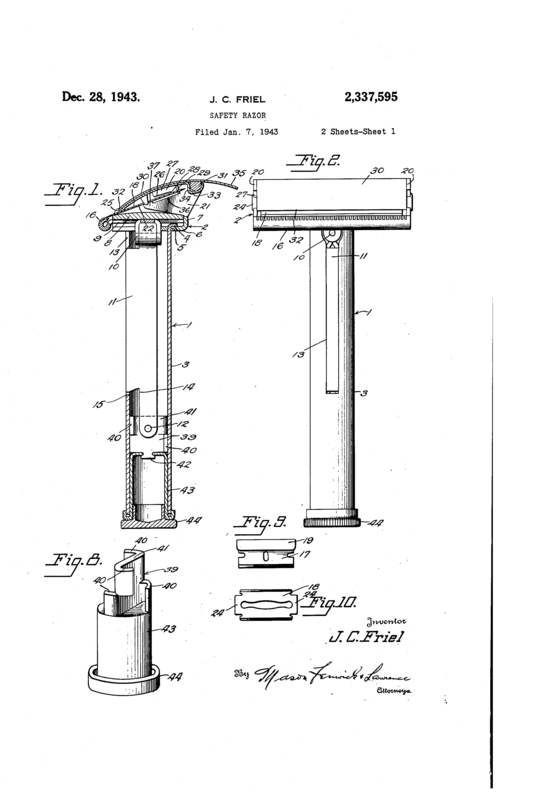 Since only one edge was exposed at any given time, the shaver had to open the razor and flip the blade around when he wanted to use the second edge. 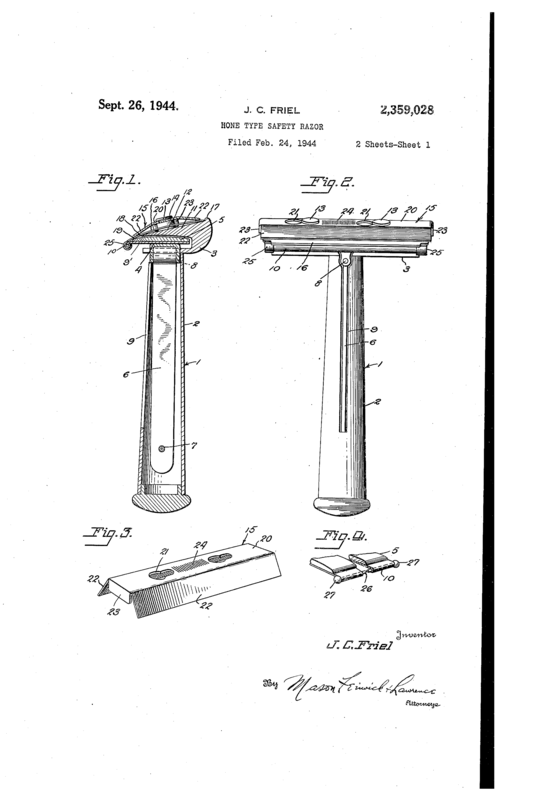 If the honing feature worked - and I have no reason to believe otherwise after looking at the patents online - you would only have to do that after wearing one edge out completely. 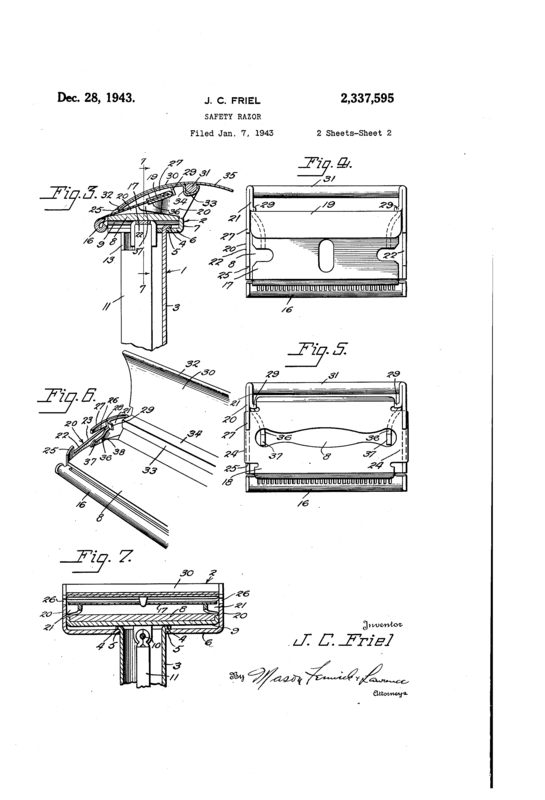 Personally I'm not convinced that shaking a razor back and forth with wet hands is the best idea in the world, but this razor do provide the SE experience while using DE blades... I guess just for that it ought to get a free pass. 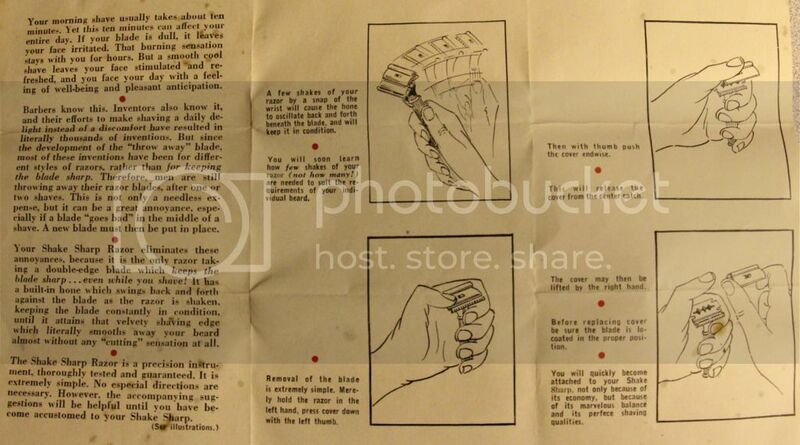 Hans, FWIW, on another forum a gent with one claims it to be a great shaver, but not having carbon steel blades couldn't try the sharpening feature. That's a real beauty, and dual blade capability none the less! There's just so much interesting stuff out there from the past. 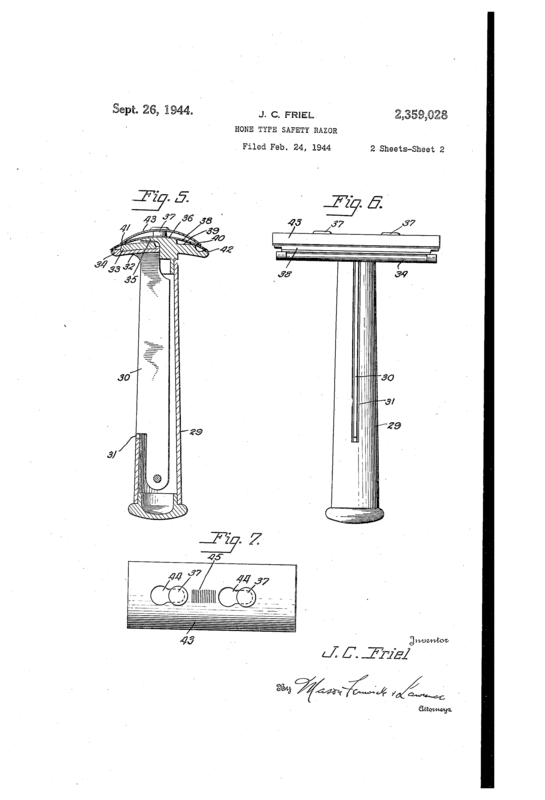 This is similar to the dehaven razor - but that used a single edge blade. 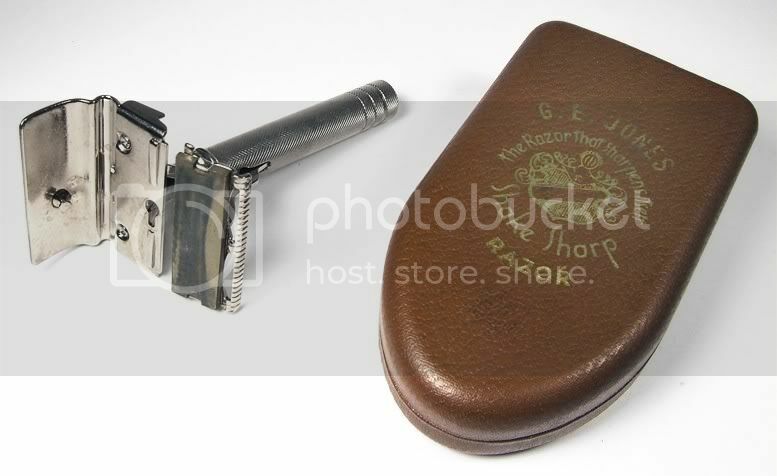 Very nice looking razors - managed to pick up two to try as a project but never managed to get round to it. Keep meaning to put the on BST. There is loads of info on the dehaven syncrokeen on one of the other forums. 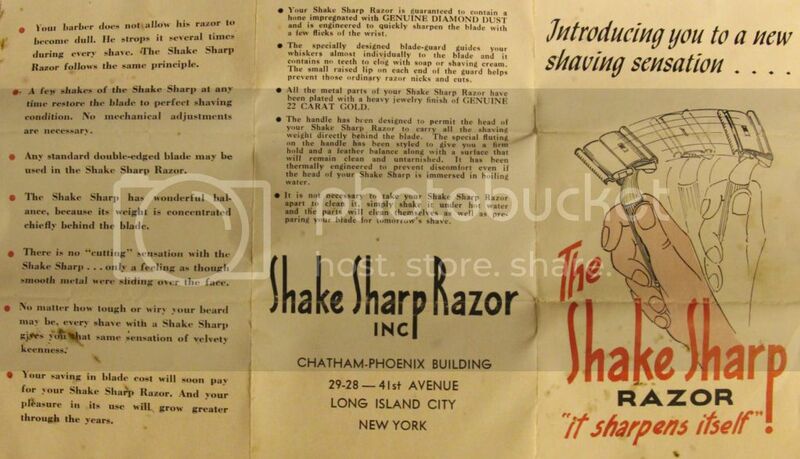 It doesn't surprise me that the razor company was located in Long Island City, NY as this was a tremendous industrial part of New York. A lot of factories located there. You have to love the oddballs. Very interesting find. Hopefully that gentleman gets taken care of in his search!